I never thought I could traipse my feet on the Island of Samar this year cause I have been desiring to explore the Island 2 years ago. But because I don’t have enough budget, it didn’t happen. Just this month, I get the chance to amble around the Western part of the island of Samar. I know that the entire Samar Island has so much to offer, it is really one of those Islands in the Philippines that never gets tired of discovering the new stunning destination for the adventurous travelers. You can always return time and time again and there will invariably be something amazing and fantastic to experience. My adventure was supposed to start in Catbalogan City, Samar, which is also situated on the Western part of Samar. But because I took a 7 PM boat ride from Cebu City bound for Clabayog, I arrived early at the port of Maguinoo in Calbayog City. And from there, I have to make use of my time to explore the nearest waterfalls in Calbayog City before heading to Catbalogan City. While the boat comes near the port, the beautiful sunrise welcomes me. It just goes to show the name we all know has an innate beauty in its own way of showing its name. The minute I arrived at the Maguinoo Port in Calbayog City, I took a jeepney bound for Allen and headed straight for Bangon & Tarangban Falls. I have not had breakfast that time as I was thinking of maybe I’ll have to fill my famished stomach as I reached the jump off point of Bangon Falls. Truly, I instantly took a Jeepney bound for Allen, and I told the conductor to drop me off at the right field corner that goes to Bangon Falls. I was traveling alone that time and it’s no longer scary, but very exciting cause I’ve been doing it for a long time. Inside the Jeepney was a bit awkward cause I sat at the extension part of the Jeepney, which means at the entryway of the Jeepney there was this sturdy horizontal wood that connects from end to another end and that’s where I sit. I can definitely see some passengers as they gaze at me amusingly while holding my huge backpack. It was an adventure itself since I seldom experience such a thing. I eventually reached the registration area of Bangon and Tarangban Falls after 30-40 minutes of travel from the Maguinoo port. There were locals who gave their sweet smile as I come down from the Jeepney. I immediately ask if there’s a nearby eatery since I didn’t have my breakfast, and unfortunately, there was none. Hence, I went to the registration area where there was this beautiful girl who take responsibility of the registration process. I pay the entrance fee of around Php 10.00 and I ride a motorcycle going to the drop off point. The usual set up when you visit Tarangban Falls and Bangon Falls is you have to pay for the motorcycle driver with the amount of Php 200.00, which is actually good for 2 people, but if you travel alone just like what I did, you still have to pay the whole amount, since that is the minimum fare. For the guide fee, the minimum rate is Php 200.00 either you travel alone or you’re with a group of friends. During my sojourn, my motorcycle driver was also a local guide and he guided me well enough going to Tarangban Falls and Bangon Falls. Tarangban falls is likely one of the highest waterfalls in Calbayog City. It looks like being dropped down several times while the water passes through the big rocks and that’s what makes it a stunning landscape to behold. The waterfall owns an interesting brink and looks so wide. And while the water flows down in slope direction and bumping on a huge rock, it appears wider and jaw-dropping as you keep gazing to its natural beauty. The water is cold, which will surely mollify your jaded body after your arduous trek. You can also get near the waterfalls and get to experience the natural massage of Tarangban Falls. Tarangban Falls and Bangon Falls are actually situated in the same vicinage. Hence, they can both be reached on the same day of your sojourn. Chris, my guide told me that we get to visit the Tarangban falls first, and on our way back, we will be visiting the Bangon Falls since it is easy to reach compared to Tarangban Falls. He told me that it will take approximately 30 minutes of trekking in the lush scenery green forest before I can see the inviting beauty of Tarangban Falls. My guide even asked me if I’m up for the challenge, and I was smiling without him recognizing that I’m really into trekking as I have climbed several mountains already. Truly, the trek was quite challenging, but in first timer perspective, it might be a difficult trek, since the trek leading to the falls is assault. I was sweating a clear liquid from my sweat glands as I find the trek a bit challenging while I’m getting near the Falls. Until my guide finds out that my pacing was fast and he told me that we can probably arrive at the falls in less than 25 minutes. Hence, I smile and told him that trekking is actually my favorite part of the adventure whenever I travel. Truly, we arrived at the Tarangban Falls in less than 25 minutes. There was this lone store that sells cold drinks for the visitors and other food as well. He welcomes me with a grin and told me that I was too early, which is great cause I will own the waterfalls alone. It’s actually intended that I have to reach the waterfalls as early as I can to avoid the crowd. At close to 9:30 AM or 10:00 AM, the waterfalls can be crowded, especially on weekends. The good thing was, I arrived at the Tarangban Falls at about 9:10 AM. I took a rest and drink some water before I decided to go near the waterfalls. I even sit on a sturdy wooden bench and hold a small chitchat with the adorable kids nearby. Shortly enough, I took off my shirt and went closer to the waterfalls, took some photos as well and eventually I enjoy the cold water as it hugs my tiring body. True, I own the place, it was serene and seems like I let the whole place just exclusively for taking a bath. I likewise love the natural massage, it somehow helps me feel so relax. Soon enough, I decided to depart for Bangon Falls and while we descended from Tarangban Falls, I asked Chris about Tarangban Falls, how it was being discovered and how come they called it Tarangban Falls. Chris was seemed to be so ready about my queries as he have elucidated it very well. Chris said that a few years back, Tarangban Falls was not yet discovered while Bangon Falls have already been spotted by many locals. It was discovered when a curious locals went upstream until they have seen the sensational beauty of Tarangban Falls. From that day on, it was served as a favorite spot of many locals until Tarangban Falls have been recognized by many travelers. Though the waterfalls have been seen in many print magazines and other online platform, it is still left in its own innate state. While we keep on our trek, we induced a good talk about many things and what more should I experience in Calbayog. I didn’t recognize that we already have reached the river where we get to trek a little bit to reach the Bangon Falls. Will surely blog about Bangon Falls on my next blog post. You can fly to Calbayog from Manila through Philippine Airlines and from Cebu through Cebu Pacific Air. From Calbayog City, ride a Grand tour Van that bound for Allen or Jeepney and ask the driver to drop you off the right field corner that goes to Bangon Falls. You can take the Cokaliong Shipping Lines at 7 PM then you will arrive at Maguinoo Port in Calbayog the next day at 6 AM or 7AM. Cokaliong schedule from Cebu City to Calbayog City is (MFW 7:00PM), then Calbayog City to Cebu City is (TTh 7:00 PM). From the Maguinoo Port, ride a Grand tour Van that bound for Allen or Jeepney and ask the driver to drop you off the right field corner that goes to Bangon Falls. Be careful with the wet rocks, for they are very slippery. There is no mobile signal in Tarangban Falls and Bangon Falls. Just make sure your phone or camera is fully charged for picture purposes. Make sure you stick to your guide’s instruction. Don’t create your own system, then follow. Better halt the activities when the sudden rain arrives because the water can create fast currents that would result to dangerous situation. Wear your comfortable trekking shoes. Please remember to leave no trace behind. Take good care of our mother nature. Just enjoy and be responsible enough. Above all PRAY before going to the waterfalls for God’s guidance and protection. Your trips just keep on getting better! I love those time stamps style itinerary list that you make. I hope google search gets you loads of traffic. Those list are just so helpful. I’ve been to Samar a few times, but never been to this place. Nice! Wala masyadong tao. 2 thumbs up for the detailed itinerary. Awww! Such an extensive and well detailed itinerary.. was imagining the trail going to the falls. I hate long walks even short, lol! But when i saw the falls i was amazed. I might not complain of walking at all if i knew what i was going to see. It was indeed a must visit place and i wish someday i’d be able to see places like this too. Wonderful nature.. The entire journey is so worth those waterfalls and you have captured them beautifully. Well done with the whole Itinerary and travel tips . That will make it useful for anyone wanting to head there. And I am sure plenty of people would after seeing this post. Definitely, this place looks like a fairytale…like something you would see on the background of a computer or something. I love how you map out how to get there from each type of transportation. New cities and destinations sometimes it’s hard to figure out the best route! 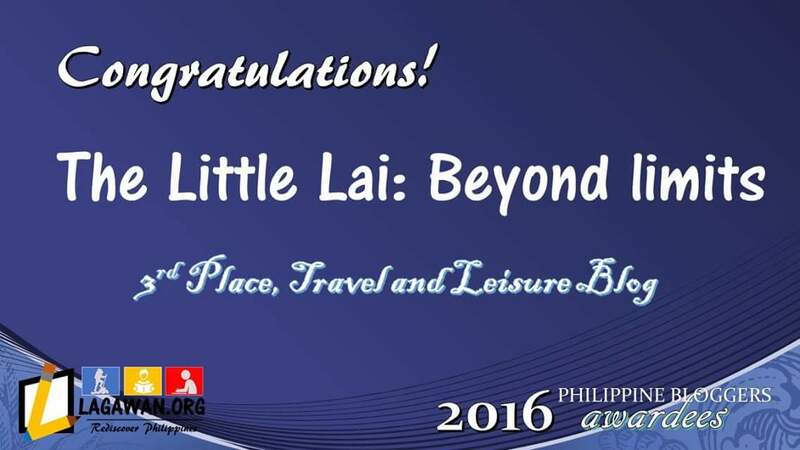 Lai, you’re becoming one encyclopedia of all the stunning waterfalls and trekking locations of Philippines. Hope I plan a trip to Philipines and when I do, you’ll be my point of contact than anyone else!!! I can totally relate to your excitement of finally going to the place which you’ve been wanting to go since ages! I always hear about Calbayog through my dad. He always mention that he has relatives there long time ago. When I showed him your post, he was talking and talking non stop. I think he really misses the place. I know that the hike through the place where the falls are, are sometimes rough and hard but it is all worth it. This reminds me of the falls we used to go to every summer when I was still young wherein we have to travel to 2 mountains before we reach them. That waterfall is really breath-taking, I just wish the locals and tourists alike will maintain its beauty and cleanliness. Wow, seriously that is one beautiful waterfall. I have never been to Samar, you are lucky you’ve been there, it’s on my bucket list. And I think I know what not to miss when I finally go there. You sure have a knack for finding some of the most beautiful falls in the country, and you find those that we’ve never heard of until your post. I wish I could discover more off-the-beaten destinations like you do. As a blogger and traveler, I get a different sort of satisfaction when I write about something that not many people know. Napa-wow ako sa ganda ng falls! Ang dami talagang magagandang lugar sa Pilipinas. We are blessed to live here. I have not been to Samar yet. Hope to visit it in the future. The trek looks tough as well as thrilling but I am sure you might have forgotten every pain after seeing this majestic waterfall. It is huge and beautiful too. Your pictures are beautiful and well written detailed itinerary as always. Truly, God gave us such beautiful place. How I wish we all take care of this gift. Ive done a few treks myself with my family and it is inspiring to reach the peak. All the more that it’s inspiring to see wonderful sights you never imagined seeing. The falls look so inviting. I agree the relaxing water would provide such great massage to our weary and tired soul and body. This post makes me rethink my travel to Tacloban this October. I have a flight to Tacloban but I was thinking of missing it because I am not in the mood to travel these days so when I saw your post, I will reconsider as I know there are a lot places to explore I might just get to add this in my itinerary. Anyway, that falls is cool. Quite different from what we usually see. Almost 9 thousand pesos for a four day trip. I find it costly but with that experience, I believe it is worth it. Tatangban Falls is indeed majestic. I have never seen a waterfall like this in person. Hope to visit this place soon! To be honest, this fall looks to me like dripping ice cream. Here is my suggestion, please edit these pictures so that the desired quality is produced while blogging. This is a lovely post though.And your itinerary indeed helps. Hello, thank you so much for dropping by. No need to edit the photos because in photography, that’s what they called long exposure shot. It is a slow-shutter photography that requires using a long-duration shutter speed to sharply capture the moving subjects. I don’t see anything wrong with the waterfall photo. It’s actually fine. Wow I love how detailed your post is with itinerary, costs, and tips. Slippery rocks seems like a no brainer but it’s truly slippery at waterfalls so always a good reminder. Good to know that there were no breakfast places nearby at the registration. I’ll make sure to pack food. Lei you should start organizing these trips for travelers. You’d be great at it! It has been a blast reading this extensive and well detailed itinerary. The hard work and long trail must have been worth it just at the look of the beautiful falls. Nature has always created the best and scenic views in the world. Nothing like a nice cold waterfall after a long hike! It looks beautiful, and I’m loving the long exposures you got. That silky water looks so dreamy! I love that you included all the ways to get to the falls. I SERIOUSLY need to visit the Phillippines ASAP! I am currently living in Vietnam, so I will get there when I can! 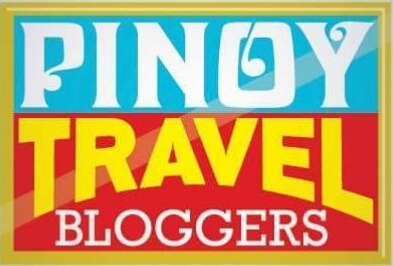 Your blog will definitely be my guide for the trip! Tarangban falls are so large and reading your other posts, it seems to me that each island has waterfalls. The trip per days that you propose are useful especially for timetables. The expenses may be also useful, but would be great to add in brackets how much is in euros/$ (the total amount, not each bus/boat ticket). Thx for sharing with us such a detailed information. My uncle is from Samar and has spoken so fondly of it in my younger years, so this blog post is a welcome visual to ages of stories. And as much as waterfalls are beautiful, my favorite thing about waterfalls is bathing in them! You’re right, they are natural massages! Loved reading about how the Tarangban falls was discovered. It looks so pristine, love the fact that it is left untouched. Would it not be wonderful if one could actually be the first to discover a new waterfall! I can only imagine the thrill traipsing through your being as you set your eyes on the falls for the first time. You truly find all of the best waterfalls. You should do a massive guide to waterfalls in the Philippines sometime! I love that it’s such a big waterfall but broken into smaller cascades. Also, I think you’re right that waterfalls provide amazing natural massages! Thanks for sharing this awesome experience! beautiful! why didn’t i get to see these wonders when i was there for years??! ?